Plastic Surgery Expert Witness – Which part of our body do we most want to improve? New Report by the American Society of Plastic Surgeons reveals all! Let’s be honest – most of us have a part (or parts!) of our body which we’re not 100% happy with. Perhaps it’s those ever expanding wrinkles around your eyes? Some extra padding around those hips? Or even something small like a mole you have thinking about removing but just haven’t got round to it! But which complaints are the most common? A new report published by the American Society of Plastic Surgeons (ASPS) answers this question by looking at the most common surgical procedures in 2016. However, this is nothing compared to the number of minimally invasive procedures performed with over seven million ‘botox’ procedures and 2.6 million soft tissue filler procedures. Combined altogether, there were over 17 million procedures in 2016 – an increase on 2015 – which means that we care more than ever before about our appearances. But to answer the original question – which part of the body do we care about the most? 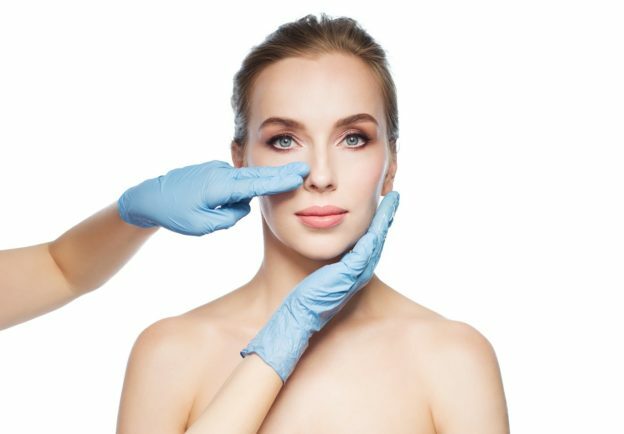 So the data has spoken: With over seven million botox procedures – and with three out of the top five surgical procedures – plastic surgery to the face is the most common form of cosmetic surgery. Perhaps it’s not surprising – after all the face is the most ‘seen’ part of our bodies. Clothes can be used to hide other body parts, but as for our faces…well…apart from wearing a mask there’s nowhere to hide it! However, it should be pointed out that procedures targeting fat were also common, so it’s clear that we do indeed still care about the shape of our bodies! What does all this data mean from a plastic surgery expert witness point of view? For plastic surgeons who work as plastic surgery expert witnesses, this has two implications. Firstly, with the number of procedures increasing, there will logically be a proportional increase in the number of litigated cases and therefore an increase in the number of plastic surgery expert witness testimonies, Independent Medical Evaluations (IMEs), or peer reviews required. Secondly, with the number of facial procedures increasing, it will mean that more testimonies or reports will focus around these procedures and conditions. As per our previous article, you should choose your plastic surgery expert witness carefully. Thomas Zaydon M.D. is very experienced in serving as a plastic surgery expert witness for not just facial injury / procedure cases, but also procedures on other body parts. Interested in using Dr. Zaydon as a Plastic Surgery Expert Witness? Read more about Dr. Zaydon. This entry was posted in plastic surgery expert witness on April 11, 2017 by kpeacy.